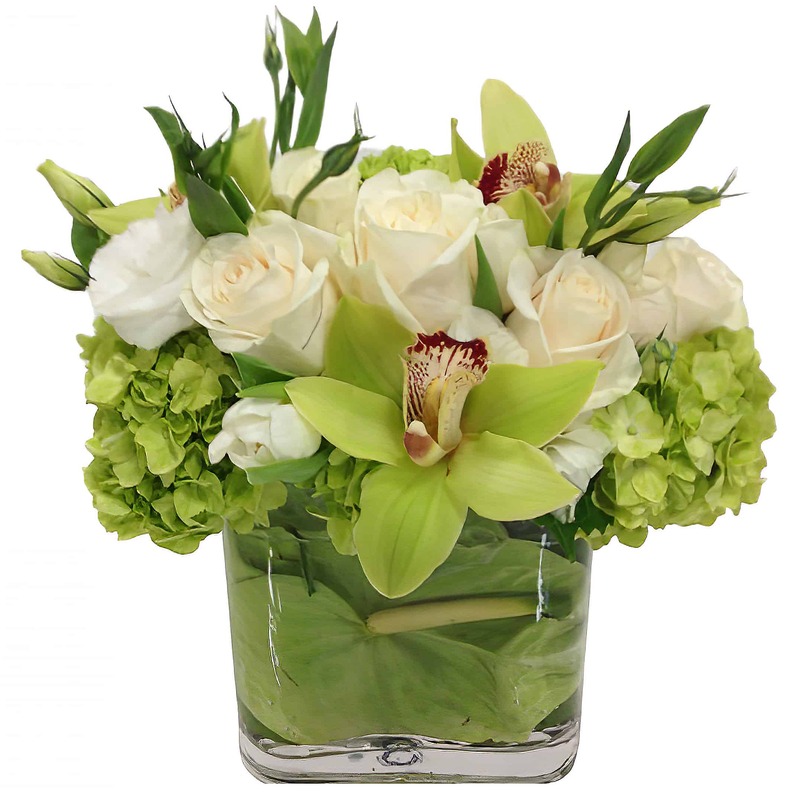 Exquisite beauty is captured beautiful arrangement of green and cream Hydrangea, Cymbidium Orchids, and Roses in an oval glass vase lined with a green Anthurium. There is no other arrangement quite like this one! Be the first to give this prodigious arrangement as a gift or treat yourself and bring it home!